A highly concentrated flowable granule concentrate formulation of Bacillus thuringiensis subspecies kurstaki (Btk) for the control of various Lepidoptera larvae on crops. 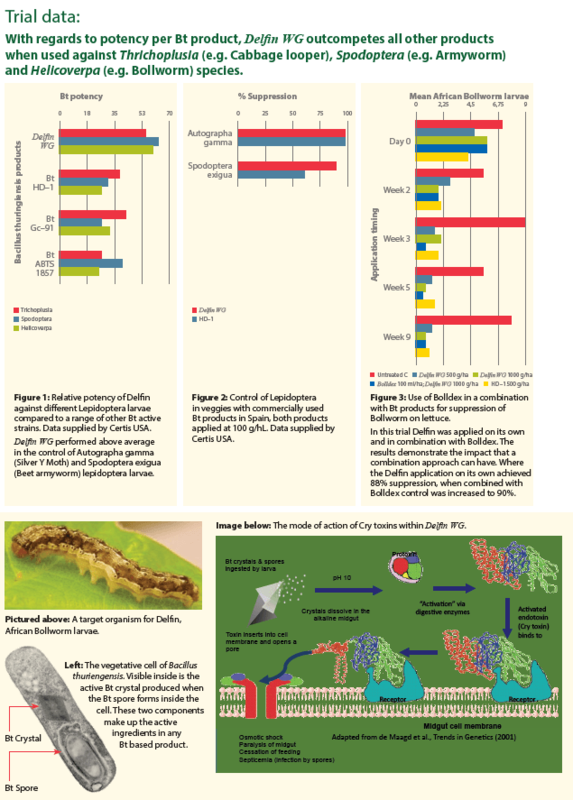 A natural biological larvicide, highly effective for management of lepidopteran larvae. 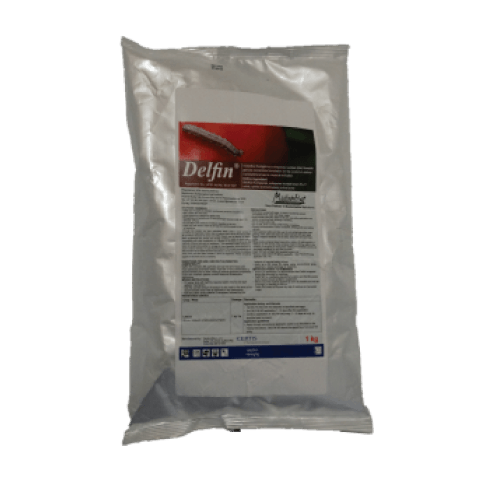 Based on one of the first commercialised biocontrol actives, widely and successfully used for pest management. Ideal for Integrated Pest Management programs, to reduce residues and manage resistance. Versatile application and excellent compatibility allows for easy integration into existing spray programs. Broad spectrum efficacy – extensive international label. Non-toxic, no residues and safe for the environment and applicators. Listed and certified for organic production by OMRI.